The Lavera Moisture & Care Vegan Shampoo provides plenty of soothing moisture for your hair. The especially mild formulation with organic almond milk and organic aloe vera naturally cleanses and moisturises your hair without irritating the scalp or drying out the ends. With the Lavera Hydrating & Care Natural Shampoo, your hair are smoother than before ! 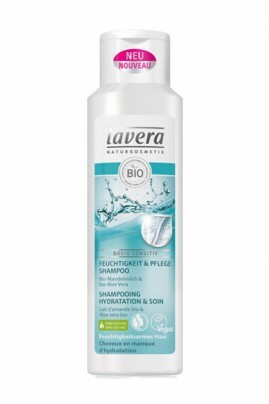 Lavera Shampoo for Dry hair & Sensitive scalp makes your hair beautiful ! Massage gently into wet hair using your fingertips, then rinse well. A real care shampoo for your hair : Silicone-free !